Are you measuring your content marketing success the right way? Content marketing is now a central tenet of many companies' overall marketing strategies. But while many businesses are doing it, precious few are measuring it in a meaningful way. 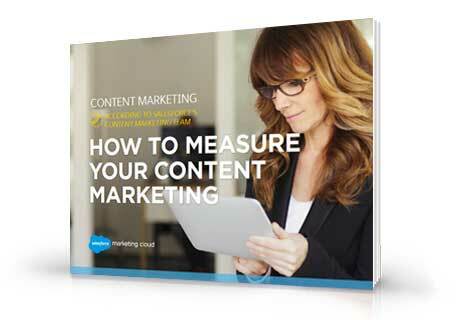 In this e-book, we take lessons from Salesforce's Content Marketing Team to help you measure your content marketing strategy. Plus, we've made you 2 FREE POWERPOINT TEMPLATES so you can start reporting success today! Just fill out the form to get our FREE E-BOOK and POWERPOINT TEMPLATES now!